Our Basic First Class Mail Forwarding service is included "FREE" as part of our registered agent fee to anywhere in the United States. For our international clients receiving mail outside the United States, we add on a $35 air mail deposit fee. However, for bank purposes, IRS etc. if you cannot use a P. O. Box. For these purposes use the following address noting the change in the zip code. The Free Service is for "First Class Business Mail". 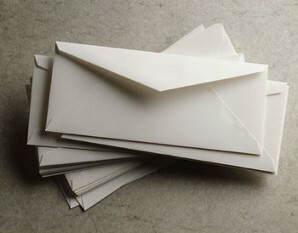 This includes First Class stamped stamped envelopes such as legal notifications from the state, the IRS etc. Most banks charge you extra to get printed statements. Please download your bank statements. Do not use our address to invoice your customers "ever". Daily or weekly correspondence is not considered part of our mail service. If you are in need of this service we will refer you to an outsourced service. Do not use our address to invoice your customers without special permission. A $35.00 deposit is required for all international air mail forwarding. Accurate records are kept. When the deposit is depleted we will bill you again for the $35.00 fee. No Packages or Courier Mail like UPS, Federal Express, etc. will be accepted unless special arrangements have been made. Special arrangements can be made to have your mail forwarded to you via courier. This is especially recommended for clients living in countries within the Russian Republic.